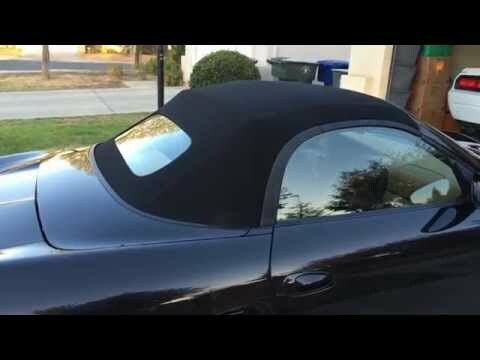 Can A Plastic Rear Window Porsche Boxster Take A Glass Rear Window Top? For our readers that aren’t already aware, we have added back the question and answer portion of our site. It was part of our site in testing for a while, but unfortunately spam questions forced it to be shut down. We now have added some aggressive spam filtering that should result in only your automotive questions appearing. Yesterday we asked you if you would choose a car with a soft top or a hard top? Below are the comments that we found most interesting. On Monday we posted our first name that car video. Over various social media and this blog we received a number of guesses and it is now the time to announce the car that was in the video. The video is of the 2015 Corvette Z06 Convertible. It was pretty amazing that a few people got this correct right away. We’ll have another one posted this coming Monday and this time we’ll include a few clues in the article in case you are stumped. 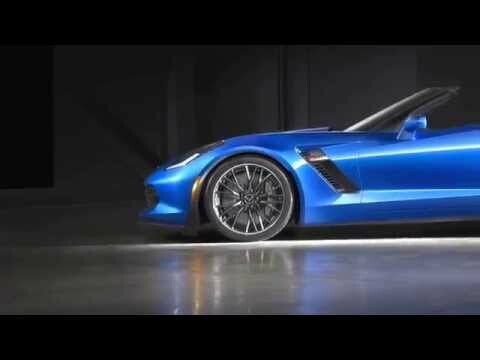 In the mean time enjoy the answer video of the Z06 and we apologize in advance for the music (we will get different music next week). The 2015 Corvette Z06 Convertible offers loads of power in an open-air package. The American sports cars is easily the best deal in a performance car available today. You get supercar performance in a well styled package (it still takes most people a few seconds to realize it isn’t a Ferrari) for the price of the options on many other sports cars in its performance range. Best off all, they have increased the quality of the interior. So, now you won’t feel like you have a cool car on the outside, but an interior that would be at home on a Chevy Cobalt. The styling of the new Corvette Z06 takes a lot of queues from modern Ferraris. It has a good combination of angular lines which help form an aerodynamic looking shape. Of course it has a low ride height and plenty of air outlets that help cooling and give it a more purposeful look. From the front the grill has almost the look of a maniacal grin and the rear is blunt with rectangular styling around the taillights. This all flows down into the rear diffuser and quad tailpipes. The latest interiors on Corvettes are a huge improvement over the outgoing models. The quality of the seats alone is night and day. Gone is the plastic feel of past models and instead you get a car that feels much more high end when you drive it. While the interior still isn’t quite as high quality as a Porsche or Ferrari, it isn’t all that far off anymore. In past years you didn’t want people to sit in your car because the inside just let it down (at least until you did a burnout). With the 2015 Z06 you will be as happy to show off the inside of the car as the outside. The Corvette Z06 Convertible is powered by a supercharged V8 engine that puts out an earth moving 625 horsepower. Chevrolet hasn’t yet released the official 0-60 mph time, but it is estimated that it should come in around 3.5 seconds. Pricing information will be released closer to the launch of the Z06, but expect for it to start a little north of $70,000. The Corvette Z06 Convertible provides high end supercar performance in a much more affordable package. With all of the horsepower, improved build quality and the good handling, it’s hard to go wrong with the Z06. That is at least until the new ZR1 is released. For desktop wallpaper of the 2015 Corvette Z06 Convertible click here.